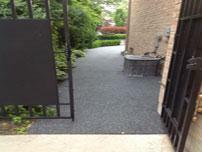 UNLIKE ANY OTHER RE-SURFACING PRODUCT! A golf course should blend into its natural surroundings and be pleasing to the eye. 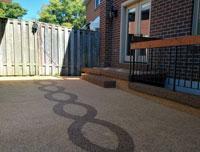 Our specially designed paths enhance visual appeal while solving practical problems of access.Rubber safety surfacing combines high-tech polymer resins with rubber to create a resilient, non-skid surface that is virtually indestructible. 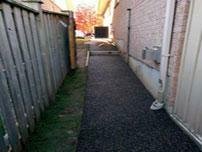 A rubberized path will expand and contract to accommodate temperature changes and ground movement. No more cracks or uneven paths!